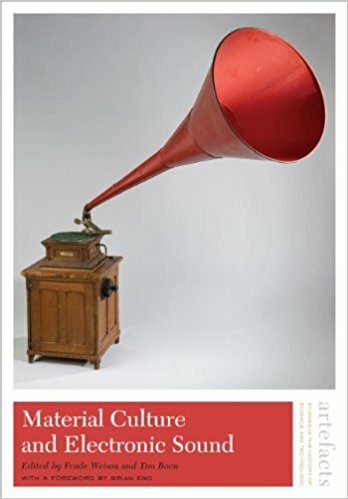 Material Culture and Electronic Sound is edited by Tim Boon and Frode Weium, with a forward by Brian Eno. 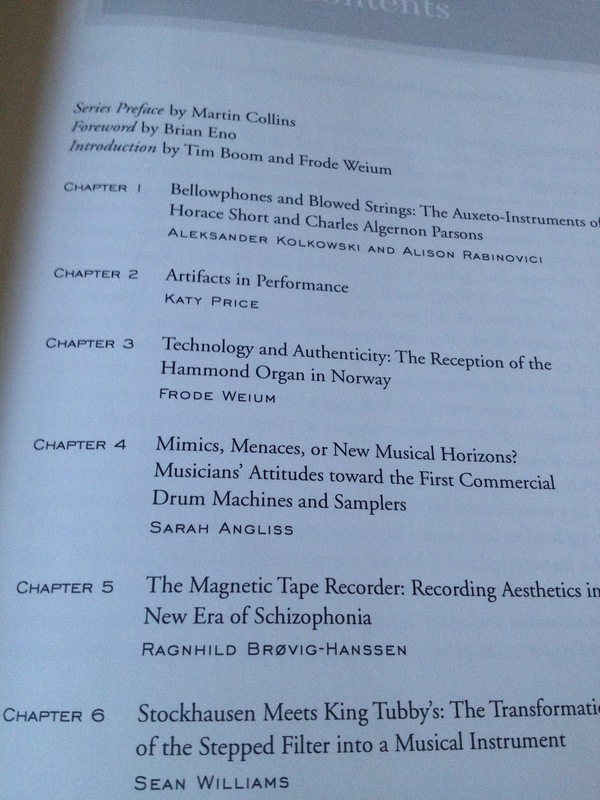 Published by Smithsonian Institution Scholarly Press (2013), this is the eighth book in the Artefact series. I’ve written chapter 4: ‘Mimics, menaces or new musical horizons? Musicians’ attitudes toward the first drum machines and samplers’. This essay examines how musicians responded to the first commercially available drum machines and samplers in the 1950s and early 1960s. In particular, it looks at how musicians’ unions in the US and UK pitted live musicians against machines by pointing out the ‘dehumanising’ influence of machines playing or facilitating music. This repeated a tactic they’d deployed unsuccessfully in the 1920s when they campaigned for talking pictures to be removed from cinemas and pit orchestras to be reinstated.